At our recent Extracurricular Activities Fair, held during lunch, representatives from nearly twenty of our extracurricular activities shared information with students, focusing especially on our freshman students and transfer students. In addition, students had the opportunity to sign up for activities, which then allows our moderators to provide them with a personal pass/invitation to the next meeting. 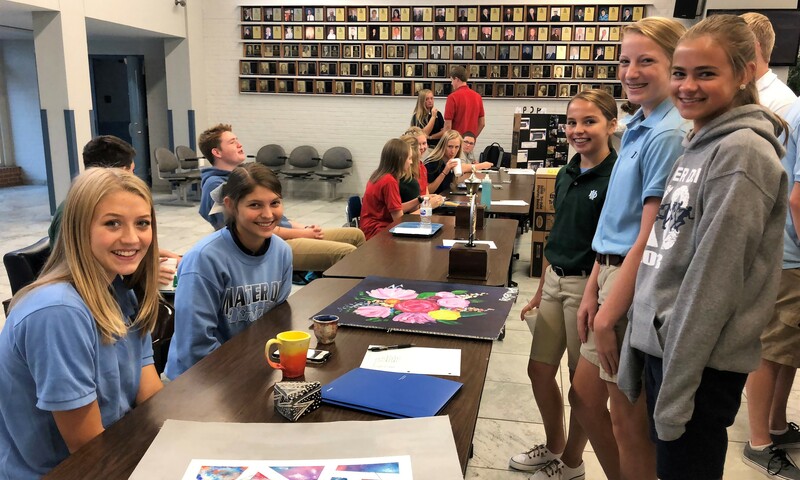 At the Extracurricular Activities Fair, Art Club members (left, from left) Kata Bowen and Carly Etter share information with freshmen (right, front to back) Mailee Toennies, Emma Huelskamp, and Maya VanDorn. 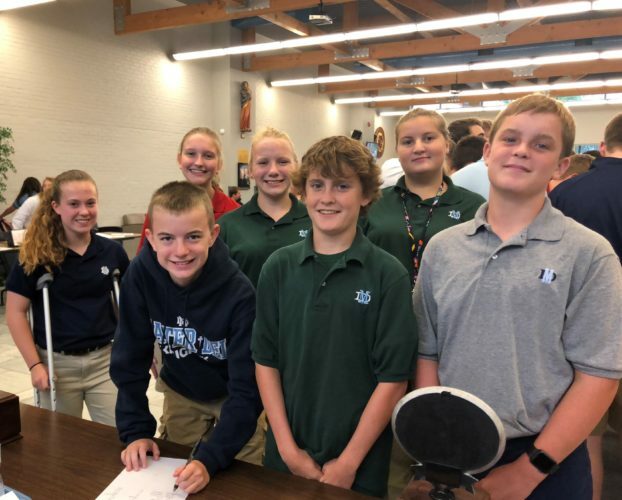 At the recent Extracurricular Activities Fair, freshmen (front, from left) Noah Toennies, Mason Wieter, Zac Wieter; (back, from left) Kiersten Kennedy, Abigail Holtgrave, Josie Przygoda, and Reagan Rickhoff gained valuable information and signed up for activities in which they were interested.